I remember my Grandaddy Allen explaining that any man that knew HOW to work would always have work. I was at the ripe old age of 9 when he first uttered those words of wisdom to me. Mom and Dad saw fit to send me to spend the summers with Charles and Jesse Allen in my hometown of Daytona Beach, which meant that I got to spend a lot of time with Pop at his river fishing hole. There was only one problem. We had to cut the grass, trim around the house and wash down the boat before we went fishing. I HATED those little sand spurs that would fly out of the mower and sandblast my legs. I hated trimming the grass and weeds around the trailer, with those old hand trimmers that looked like an oversized pair of scissors. So, with all the wisdom of a nine-year-old, I was determined to sleep in and not cut the grass. Pop never had a problem being clear. He sat me down in the green and gray chairs and the Formica-covered table with these wise words. “Chuckie, lazy boys grow up to be lazy men. And lazy men ain’t worth helping. Besides, there will always be work for a man that knows HOW to work and DOES his work.” Lesson learned, Pop. As you might expect, I promptly cut and trimmed the grass while he washed the boat. And then we fished. In the back of my mind, I can still hear Pop say those crystal clear words. I will forever be grateful that I was taught how to work. To paraphrase my Pop and the Lord Jesus – I know that’s not religious enough for many of you – STOP WHINING ON FACEBOOK, MARCHING ON TOWN SQUARE, WAITING FOR SOMEONE TO START SOMETHING, OR WATCHING YOUR PREFERRED NEWS CHANNEL SPOUT THEIR VERSION OF THE WORLD’S NEWS! 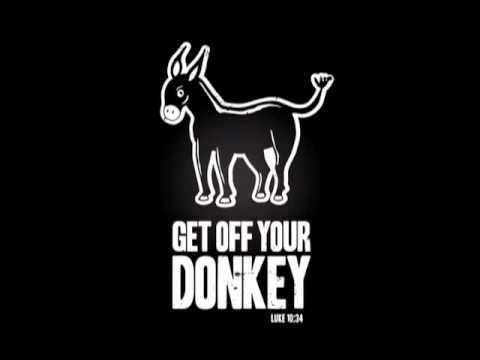 Get off your donkey and get to work! There will always be work for a man that KNOWS HOW and is WILLING TO WORK!